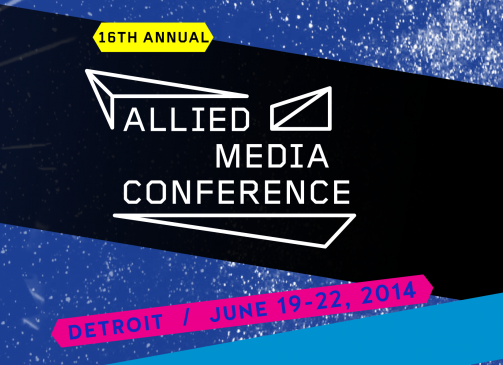 Amazing FAT stuff going on this weekend at Allied Media Conference. Here is where I will be on Friday and Saturday! How can fat activists centre the voices of the most marginalized in their organizing? How can we make the movement (and the media) more accessible to folks with different, multiple identities? This panel will bring together long-time fat activists to discuss their own personal experiences with organizing, unpack the historical whiteness of Fat activism in North America, explore alternative media that challenges more than just body fascism, and discuss critical strategies for making Fat activism more inclusive for everyone. How can we build fat-positive communities online that actively resist social hierarchies of race, class, gender, and ability? What do fat-positive communities gain when we value all of the intersecting identities of fat people? This caucus is for anyone who wants to build stronger, more inclusive fat positive online communities that are committed to challenging all forms of social hierarchy. This entry was posted in Fat Community, Fat Rights, Work and tagged allied media conference, AMC2014, DetDance, Detroit, fat acceptance, fat politics, fat positive, fat stigma, fat studies by fatbodypolitics. Bookmark the permalink.